Silicon Carbide Products, Inc. (SCP) announces the completion of an internal management buyout (MBO) to Joshua J. Dahlman and Rick L. Cleveland as it positions for continued growth. Horseheads, NY, February 02, 2018 --(PR.com)-- Silicon Carbide Products, Inc. (SCP), is proud to announce the completion of an internal management buyout (MBO) to Mr. Joshua J. Dahlman and Mr. Rick L. Cleveland. Both bring many years of international operations, engineering, sales, and business development experience to the company and have held senior leadership roles during their tenure at SCP. Josh will serve as President and Chief Executive Officer and Rick as Vice President and Chief Marketing and Business Development Officer. Moving forward the company mission remains unchanged: to provide industrial customers with high quality, high performance materials for use in extreme environments. SCP has gained worldwide recognition for outstanding performance of their SCProbond™ N silicon carbide materials, for industry-best lead times and for their high level of customer service and satisfaction. Future growth opportunities will focus on both domestic and international sales, deeper market penetration of cutting-edge SCProbond™ TN material as well as a complimentary suite of value added products to include: SCProbond™ A/CRC and WRC Corrosion and Wear Resistant SiC Epoxy Compounds, SCProbond™ HV-1/LV-1 High Viscosity and Low Viscosity Epoxy Adhesives and SCProbond™ HT-1 High Temperature Cement. About Silicon Carbide Products, Inc.
Silicon Carbide Products, Inc. (SCP) was founded in September of 1994 and is headquartered in Horseheads, NY. SCP offers a variety of ceramic components and complimentary products manufactured with their SCProbond™ materials for use in mining, coal fired power plants, material transport, molten non-ferrous metals, petroleum, and large component applications. SCP provides customers significant ceramic manufacturing experience including consultation on applications and design for manufacturability. 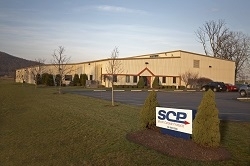 For more information please contact Rick Cleveland at 607-562-8599 or via email at scp@scprobond.com or visit http://www.scprobond.com. Click here to view the list of recent Press Releases from Silicon Carbide Products, Inc.